I swear we eat other things besides breakfast items around here. 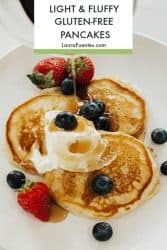 However, this easy gluten free pancake recipe is one of the most requested items week after week. 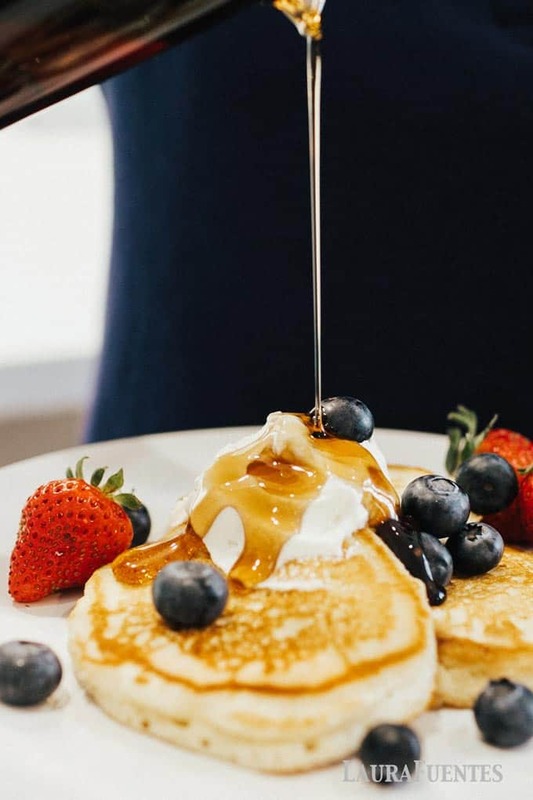 This recipe proves once and for all that you don’t have to give up fluffy pancakes when you go gluten free, it makes the perfect pancake every single time. 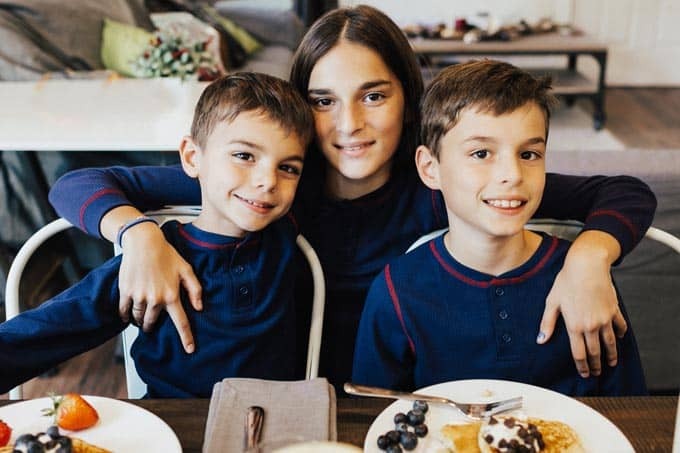 We’ve made this recipe over and over again, enough times to perfect it and make sure it yields a soft and delightful gluten free pancake every time we have breakfast for dinner. Breakfast night is by far our most popular night of the week. For a few years, you could hear my daughter scream “Yessss!!! Breakfast night!” every single Thursday night. Last year, Thursday nights became a little hectic thanks to ballet and gymnastics, so we switched it up to Tuesdays. 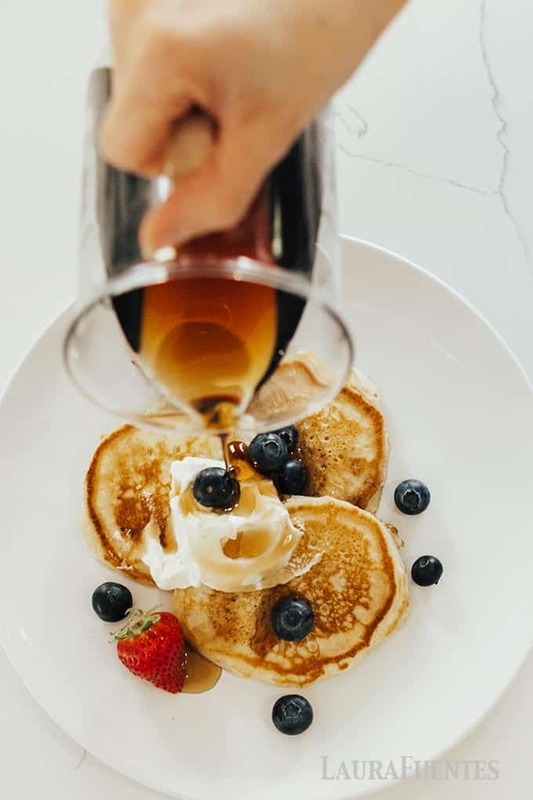 This recipe has been tried and true hundreds of times, one of those yummy recipes I’ve just kept “testing” as an excuse to make it again, even though the perfect gluten free pancake recipe was achieved 100 tries ago. 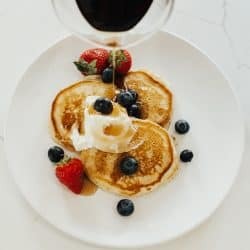 I quit making pancakes for a few months, when I gave up grain and my son switched to a gluten-free diet until I created this recipe. The other 3 people in the house still eat my homemade fluffy pancake recipe while Alex and I eat this gluten free version. When changing up your diet, I have realized it it so important to make healthy ingredient swaps so your family can keep as many of their favorite meals as possible. 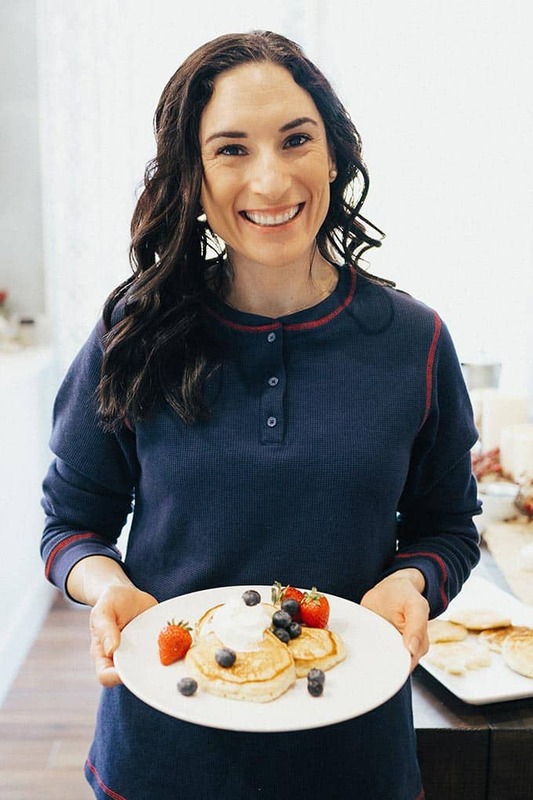 That has meant finding the perfect gluten free pancake recipe for my son and exploring other healthy meal choices that kids can enjoy as well! 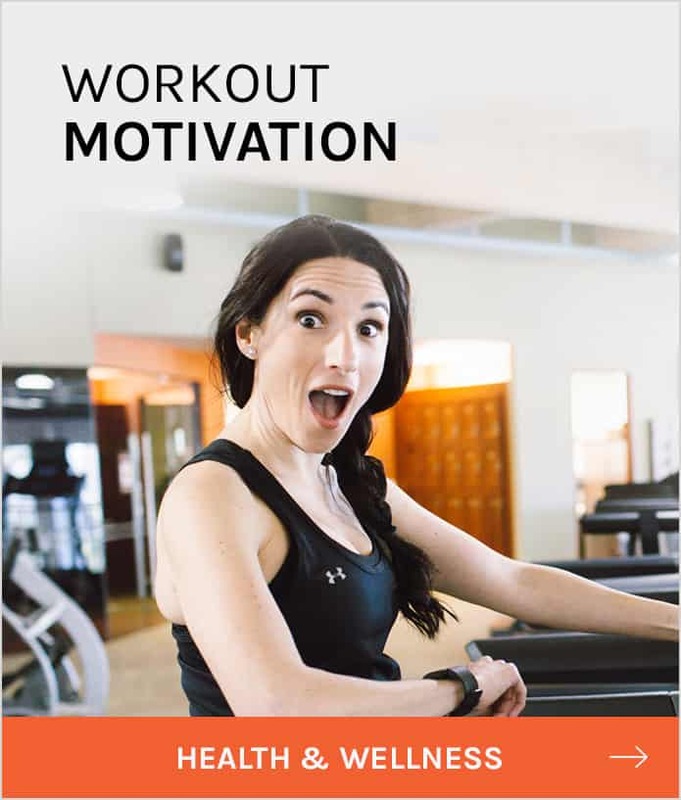 Using this pivotal concept I created the Family KickStart Program. 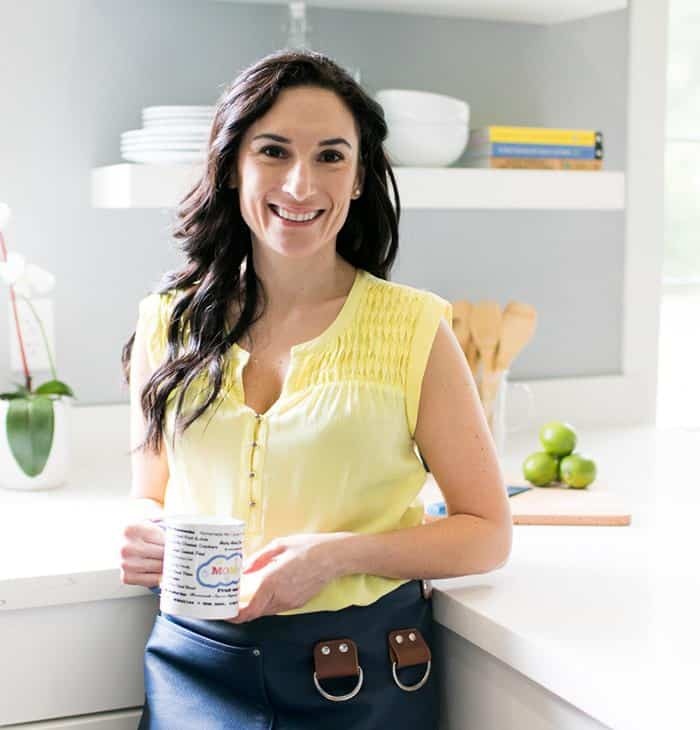 My 30-day family-friendly plan that will help you not only stick to your gluten-free diet, but also ditch sugar and processed foods. 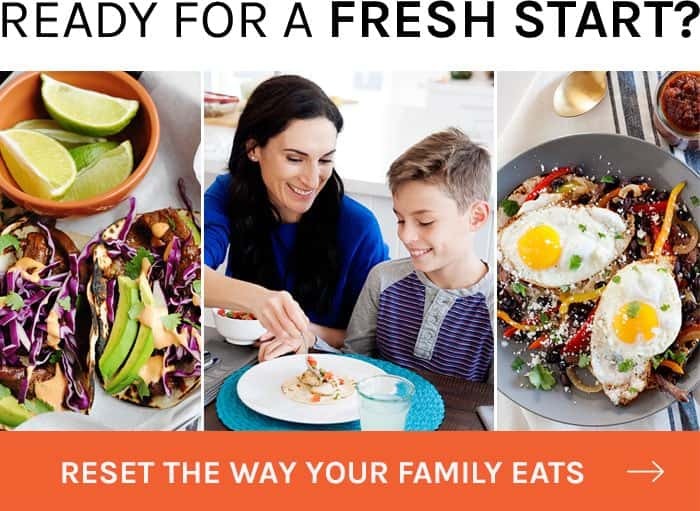 I would love for you to check it out here, and take advantage of the 30-day Family KickStart Program. 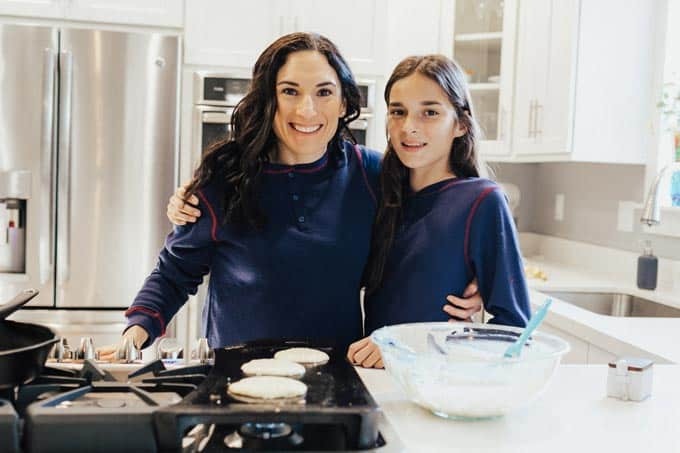 My kids have loved doing it with me and I have a feeling your family will enjoy it too (who doesn’t love getting to eat the best pancakes ever while on a special meal plan?). But back to the today’s pancakes. For the sake of simplicity and saving you time, I’ve also included other awesome recipes you might have missed if you are new here. Note that the gluten free pancakes don’t come out as well with all gluten free flour mixes. 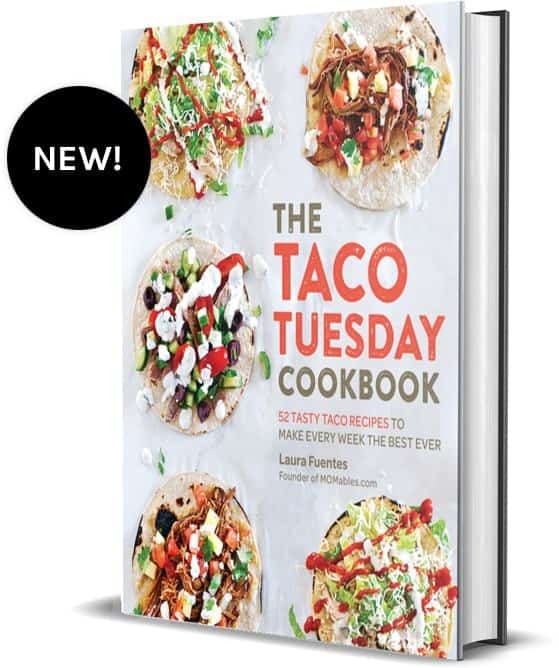 Make sure to check out the recipe notes. These pancakes are so good you’ll want to double the batch and freeze. This is how I freeze my pancakes. There is nothing wrong with being prepared for busy mornings, right? Just take them out of the freezer, stick them in the toaster, and serve. It’s that simple! Let’s talk syrups, shall we? I love topping these gluten-free pancakes with some homemade syrup. 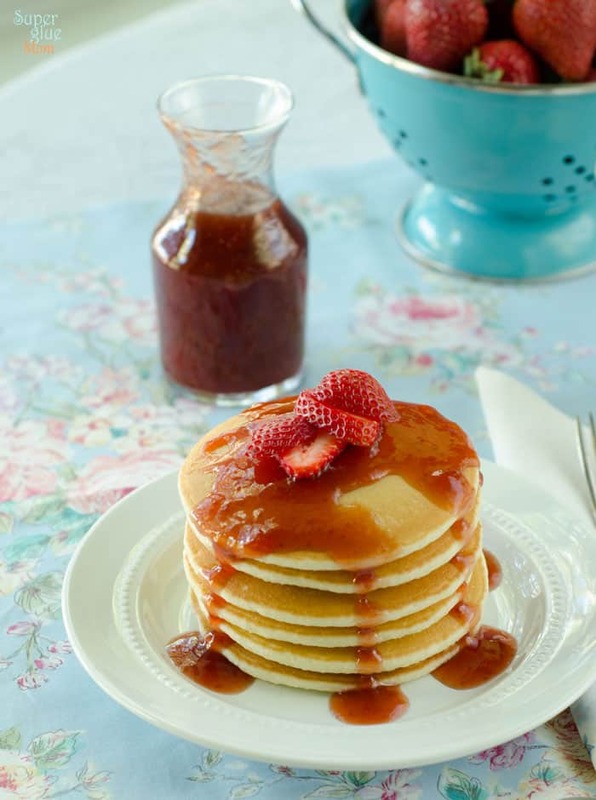 These recipes are gluten-free and make the perfect topping for your tasty pancakes! This blueberry syrup is the real deal, not like the fake stuff you get at the pancake house. I make it with fresh blueberries in the summer and switch over to frozen berries when not in season. 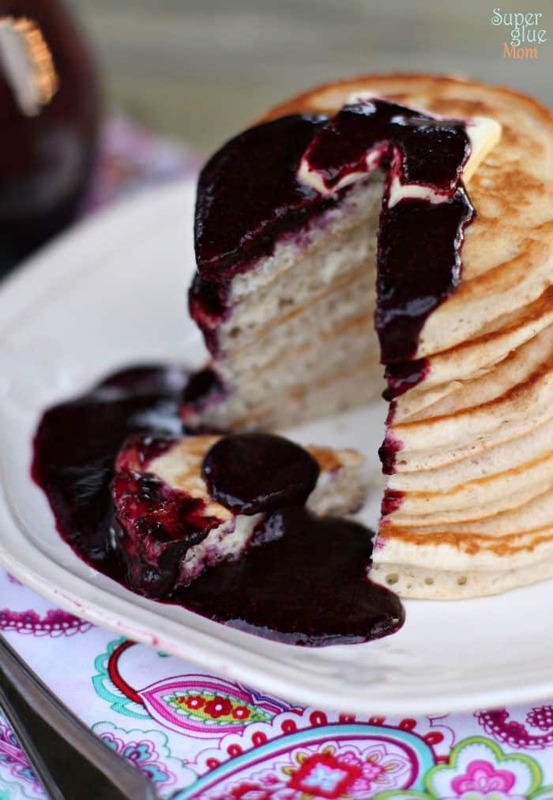 And yes, you can make the blueberry syrup gluten-free too! Prefer a different fruit? Then you want my recipe for strawberry syrup! The blueberry syrup was such a hit that I switched it up and made a strawberry one –just because. If variety is the spice of life, then I have to get creative with the things we eat often, right? There is no reason to get stuck in a pancake rut… or lunch rut for that matter! And to top it all off, these Cinnamon Roll Pancakes are incredible. They are all the thrill with none of the guilt. 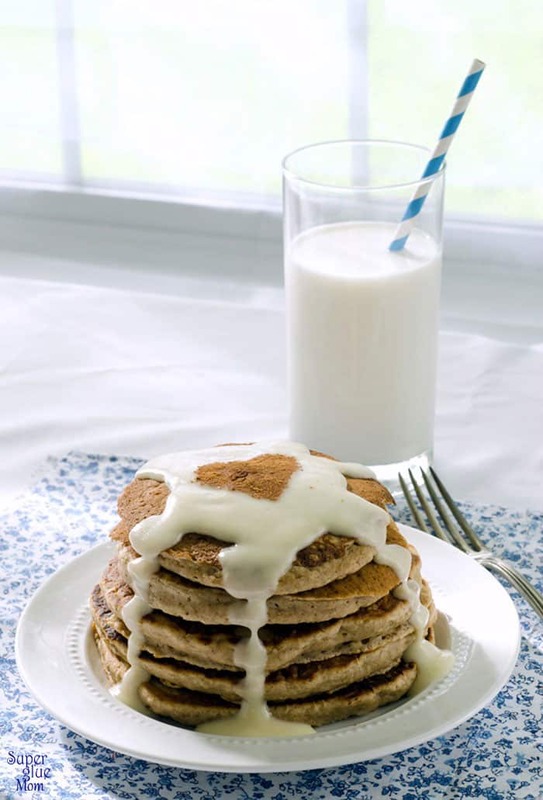 If guilt-free, ultra-healthy pancakes are what you are looking for… the check out my Whole Wheat Pancakes Recipe. It’s an old one but a good one. We even have a recipe for Double Chocolate Chip Pancakes, with easy gluten free modifications. So. Good. Yup. We are pancake obsessed. 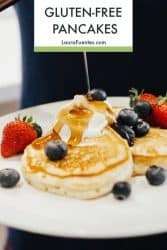 The best gluten free pancake recipe around! 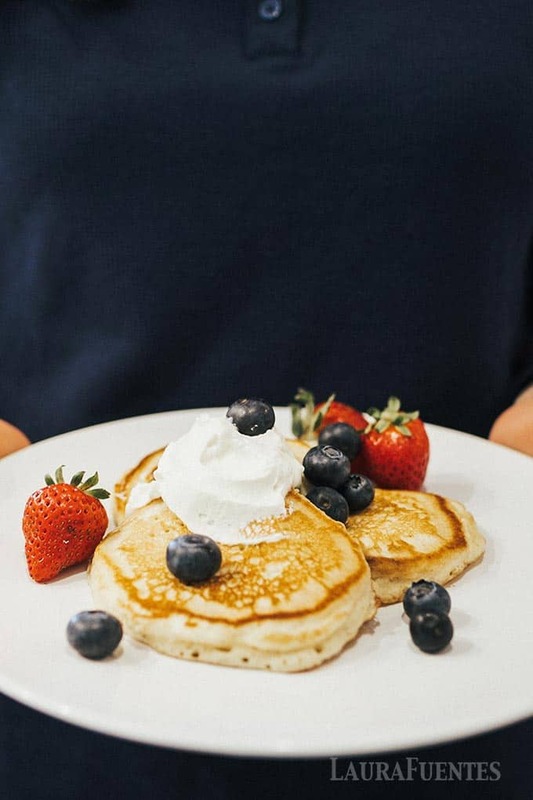 This recipe is a tried-and-true favorite, easy to make and will yield the fluffiest pancakes. Check the modifications for dairy-free version as well. In a large bowl, sift together the flour, baking powder, salt, and sugar. Make a well in the middle and pour in the milk, egg and melted butter; mix with a fork or whisk until smooth. Heat a non-stick griddle or large pan over medium-high heat (I set my griddle at 300-350 F). Pour or scoop 1/4 cup of batter for each pancake. Wait until bubbles form to flip. Brown on the other side and serve with butter and blueberry syrup. All gluten-free all-purpose flour mixes vary in consistency; that’s why the recipe calls for 1 1/4-1 1/2 cups of flour. Gluten-free flour tends to be dryer and absorb more liquid, therefore, I would mix slowly and adjust the liquid. I just made this for breakfast this morning and my whole family really enjoyed them. 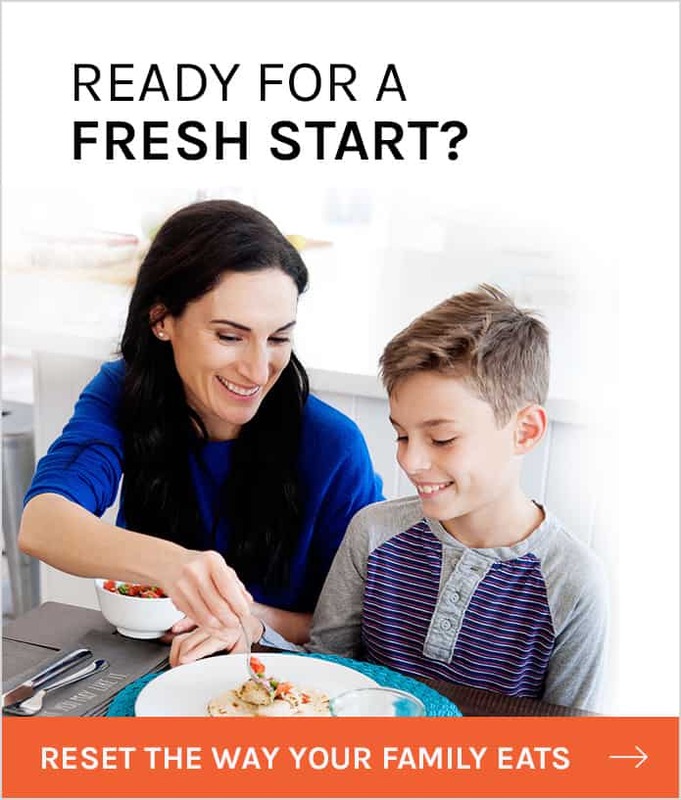 Glad I made extra so my gluten free son will have plenty for leftovers. I had the same experience as GF Girl. Pancakes were complete goo on the inside. I tried to salvage the morning by putting the batter into my Belgian waffle iron. After 8 minutes on high temp (average 3-4 minutes normally) they came out decent. For reference I used the Costco GF flour and almond milk. I’m sorry they didn’t turn out for you. I’m unfamiliar with that four mix. I tend to stick to my tried and true mixes. Delicious and perfect gluten free pancakes! I made them according to the recipe using cup4cup flour and soy milk. We have these every Sunday and add cinnamon and chopped apple and cook in coconut oil. This will be my only pancake recipe! I’m so glad!! Thank you for trying my recipe.